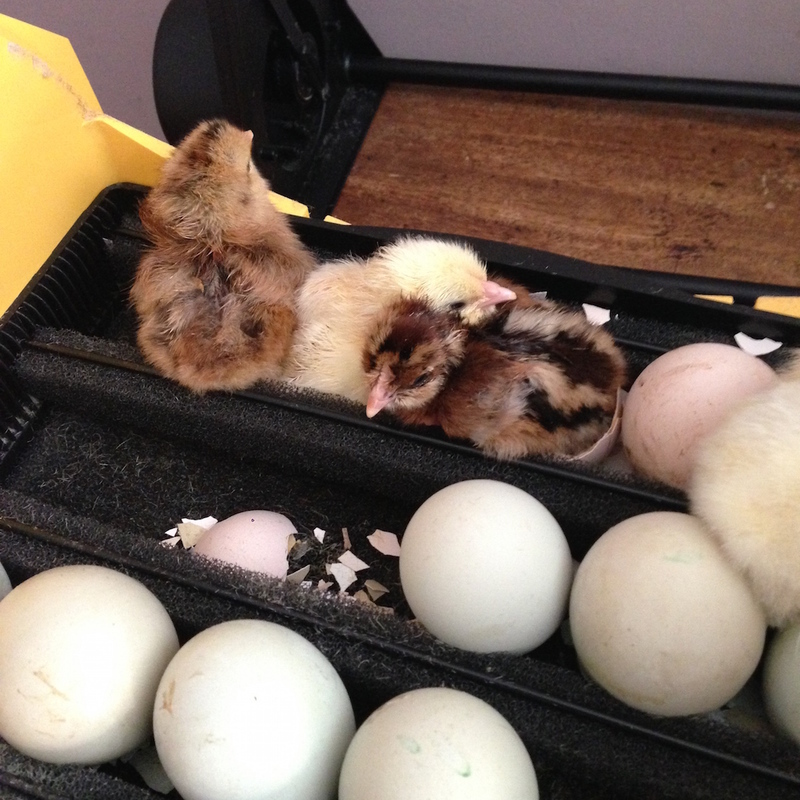 Among the craziness that is our life more chicks have been hatching. 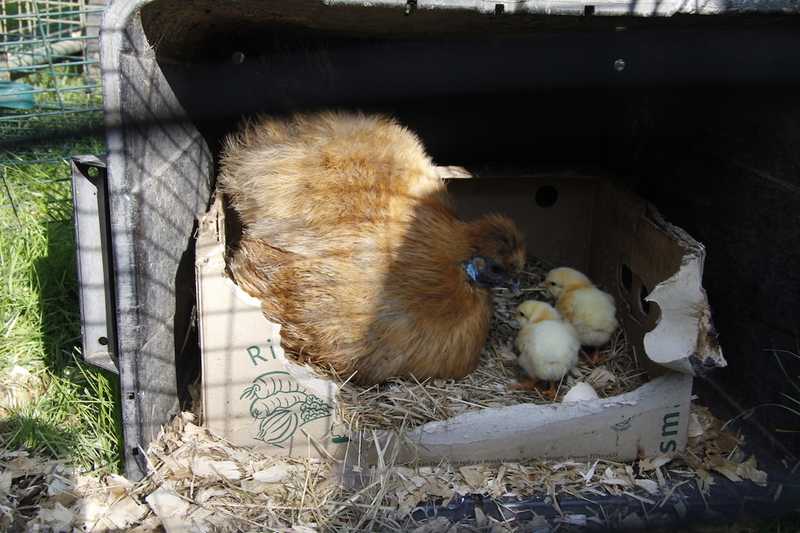 This Silkie hatched out two little Ixworth chicks. 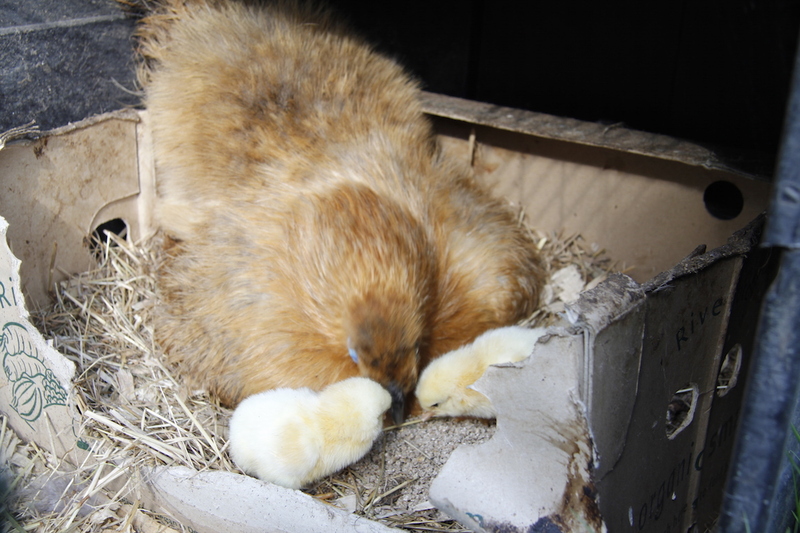 Five of the other eggs were not fertile and one poor little chick died before it could crack its way out of the shell. 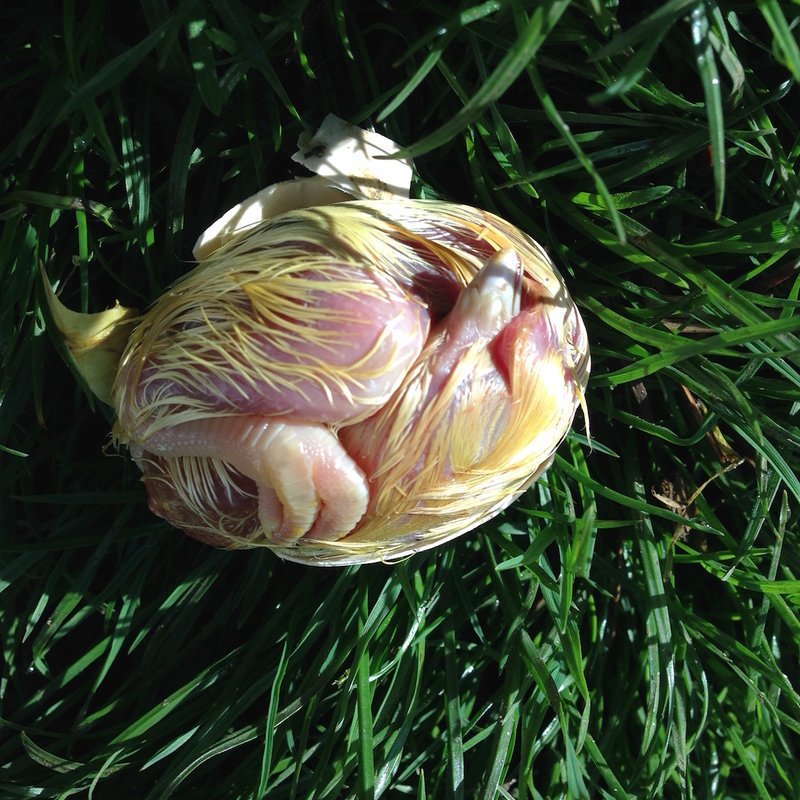 It is completely amazing how in just three weeks a chick will grow in the egg and fold up so perfectly so it fits in. 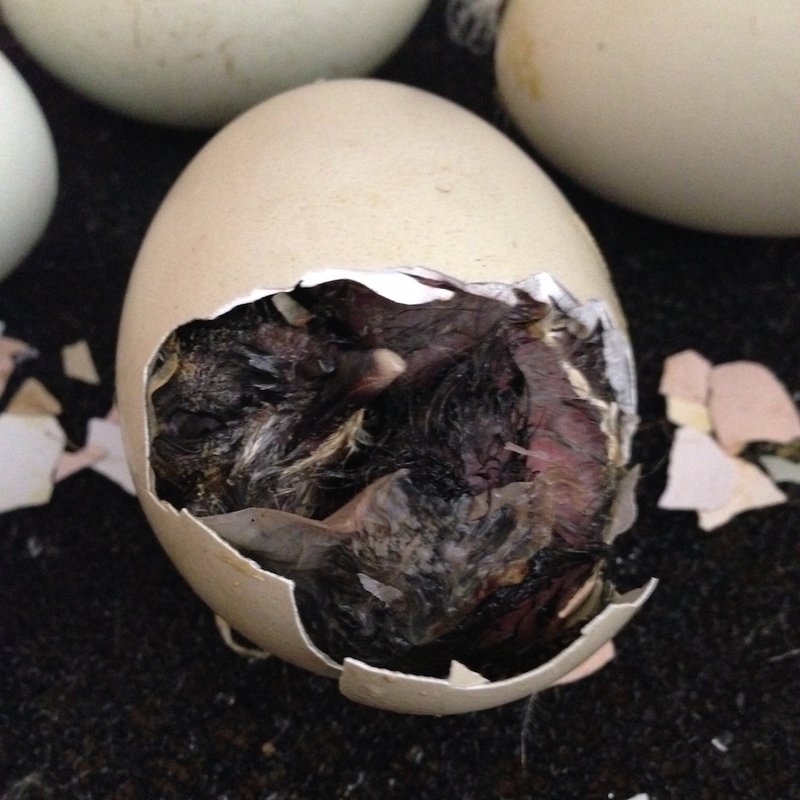 It is even more amazing when they actually hatch. 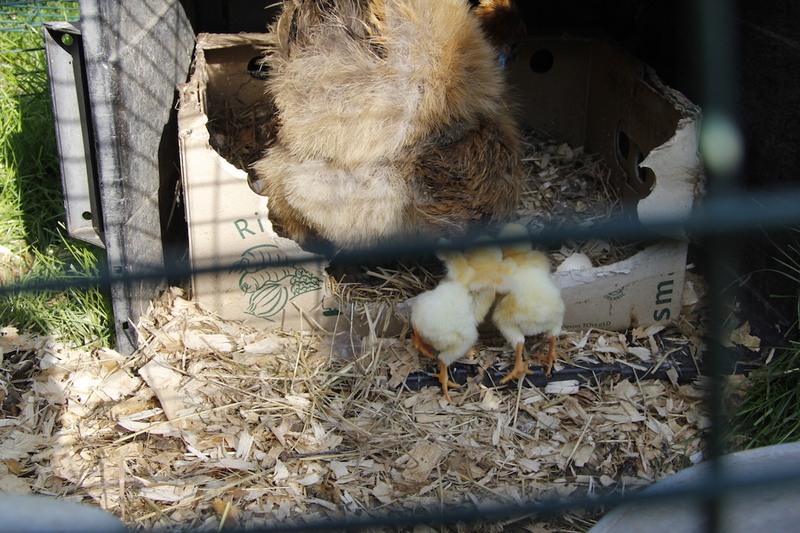 The chicks are a mix of blur-green egg layers and Ixworth/naked neck crosses. 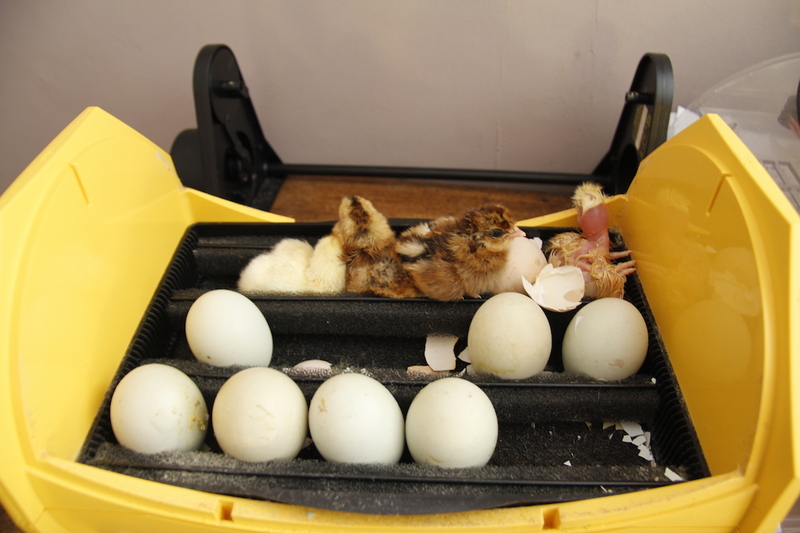 Out of 18 eggs twelve successfully hatched out. 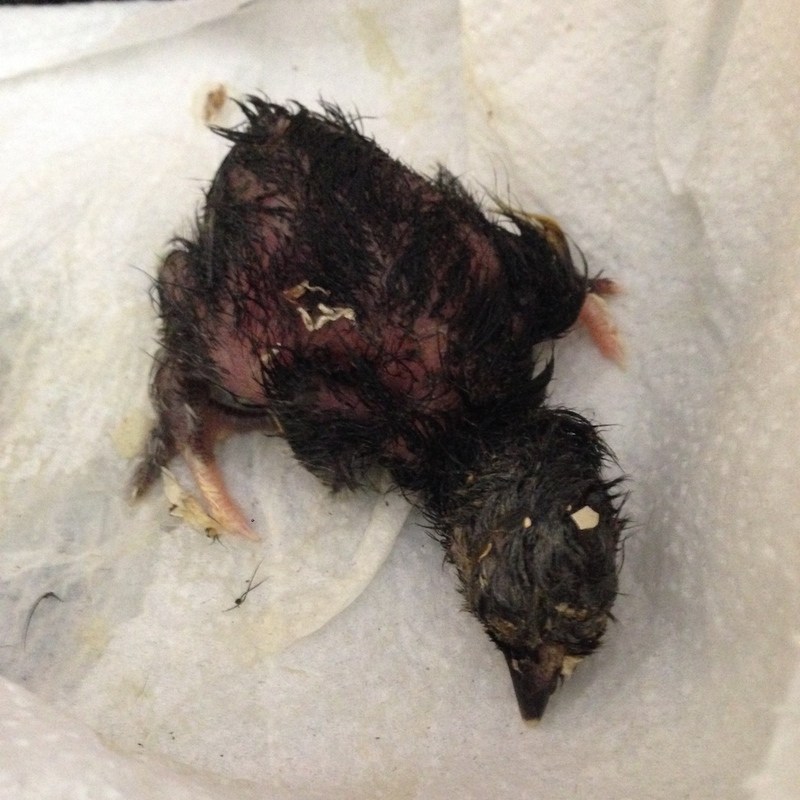 I managed to get the chick out and (s)he lived for a bit but struggled to fluff up and eventually died. Another chick 3 days after the others had still hatched was still alive in the shell – when I candled it I could see movement. I tried to get this one out as well, but it wasn’t strong enough and died too. 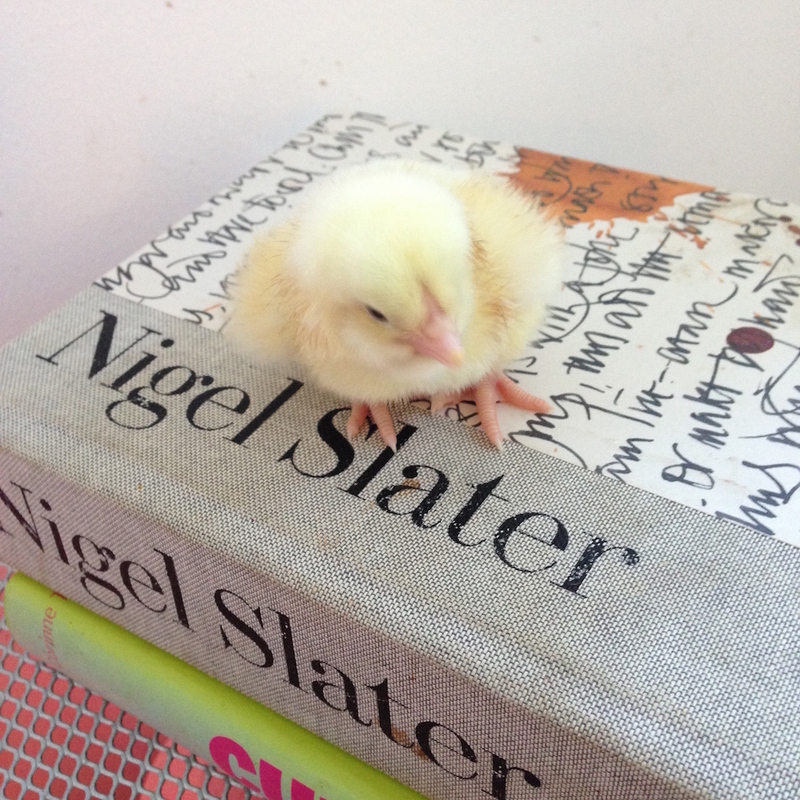 But we do have 12 strong chicks – one of which has already started looking up chicken recipes in Nigel Slater! N.B. recipe books on top of the brooder to discourage the two kittens/young cats from being too inquisitive! Spring really is, well,…really spring at your house, isn’t it? Like, I know it’s spring here at my house in North Carolina but without newborn critters it’s hard to say it’s truly spring. Enjoy your new ones and sorry for the losses especially those you tried valiantly to help. Such a miracle, every time! I often help stuck chicks out of their shell. It’s usually pretty successful with chickens but not so with our recent quail for some reason. Oh, I forgot you had quail – how are they doing?